Your very first step in the application process is a phone call to Early Steps beginning on the second Tuesday in June of the year that your child turns 4 for kindergarten applicants and 5 for first grade applicants. If your child meets the criteria for our services, you will be guided through the next steps of the registration process. We have designed a series of workshops to educate families who are actively going through the admissions process with Early Steps. These events also allow families to meet others who are sharing a similar experience. Panel participants include school heads and admissions directors as well as experienced Early Steps parents. 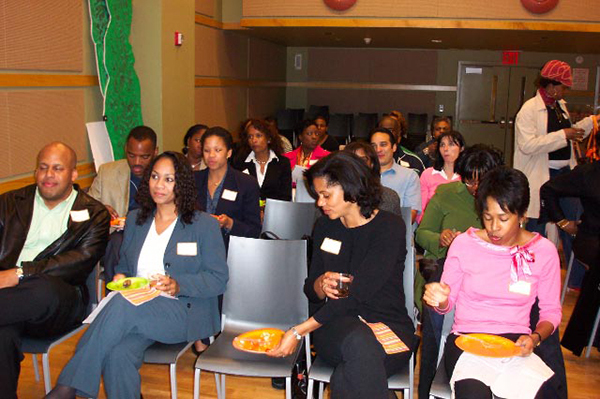 Outside experts, including professionals of color, are engaged to offer specific assistance on a variety of topics. The application process and the role of Early Steps in that process. The importance of learning about the various types of independent schools available to your child. How to choose the best school for your child. How to partner with your new school to be the best advocate for your child.